With our solutions we tackle the problem at the source! Porous concrete floors are a breeding ground for germs and other micro-organisms, with a survival time of up to 3 years. An important risk for your piglets and pigs, which leads to the need for intensive cleaning and almost continuous drying. Antibiotics offers only a temporary solution, both because of constructive resistance and the adverse effect on the natural health of your pigs. There is an alternative, by tackling the problem at the source. Our hygienic coatings prevent germs and other debris from accumulating in the porous structure of the concrete. A liquid-tight and smooth finish on floors and walls, which makes it easy for you to continually clean pig and piglet stalls to provide some protection. Cleaning is much easier, so that there is less working time and you also need less water and energy. The result? Healthier pigs and more operating profit, with which you can easily earn back the investment in hygienic coatings. Concrete has a porous structure and is very sensitive to acids. Our coatings combine the strength of concrete with the chemical loadability of a favorable plastic. Scratch and impact resistant, extremely strong and thus the ideal basis for a long life. A durable floor and wall finish with a high-quality plastic coating. More grip for your piglets and pigs, with which you can prevent slipping and skin damage. The safe choice on the floor and the wall. No problems with accumulating dirt or germs that remain in spite of cleaning. A nice smooth finish for optimal cleaning. An optimal hygienic pig farming, which you can clean faster and easier. Less labor and energy costs for a cleaner environment. Would you like to use our hygienic coatings for your pig farm, but are you against the required investment? 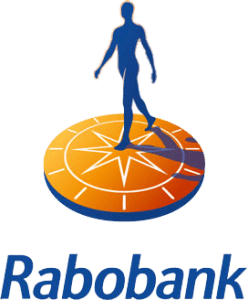 The Rabobank, MS Schippers and Van Loon Group have jointly set up an investment fund. The fund offers you the opportunity to invest in HyCare under favorable conditions, as a basis for more operating profit. We are happy to advise you on the possibilities for financial support, based on our good contacts with the investment fund for HyCare. Contact us for more information.